TechNiche Air Activated Body Warmer, powered by Heat Pax. Perfect for use within many applications. Direct replacement within many TechNiche, Heat Pax powered, items. 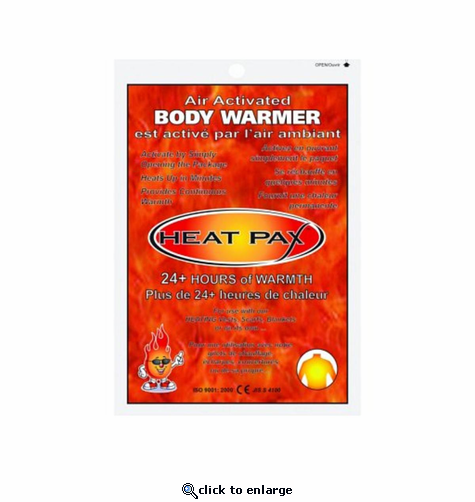 Simply open the warmer to activate up to 24hours of constant, safe heat. No chemicals, no batteries, no flame. Non Toxic and biodegradable. 240 ct. box.